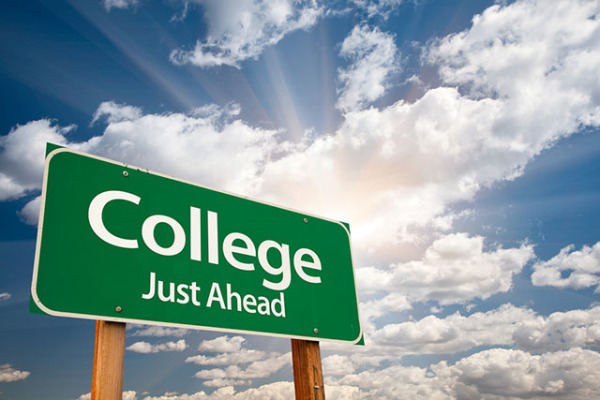 A fairly common complaint amongst potential college students, from high school freshmen to those seeking where they’ll be attending university, is that they don’t feel adequately prepared to make it at a university. There are ways, however, to lessen these seemingly unsolvable anxieties. Students seeking assistance need look no further. Whether it be with an Academic Tutor or on your own, the following tips could prevent you from putting a stop to a much needed education due to fear. Teachers are a veritable font of wisdom, and not just about math or English. Every high school teacher will have gone to college in some degree, and they likely had many of the same concerns. If you’re feeling uncertain when the topic of college comes up, visit your favorite teacher after class and ask to talk about what’s on your mind. Sometimes all you need to get on the right track is a little reassurance from someone that has experience. Another anxiety that tends to creep up when students are prepping for college is which school they should attend. With literally dozens, if not hundreds, of potential options out there, you’re not going to want to make a blind decision. Your choice should be based on a thorough investigation of possible schools, with any form of bias taken out of the equation. You’re going to be spending at least four years wherever you go, so it doesn’t hurt to do your research. A high percentage of high school students still fear that college is too advanced for their intellect. There’s nothing to be ashamed of. Making a transition into a new level with anything can be frightening. Thankfully, there are several tutors in Chicago that are highly qualified to help struggling students get up to speed. Whether you’re struggling in one subject or multiple, arts or sciences, there is someone willing to help you get into the school of your dreams. For many people, college is a place that is far away from home. It’s some large, looming building, miles away from everything you’ve ever known. While the idea of going away for college may be interesting and great for some, it can also be extremely expensive. Thankfully, we live in an era of technological advancement and even a college degree can be achieved over the internet. You’re welcome to join a criminal justice course, music school, or university of chemistry without needing to leave your own home. This method also tends to be a great choice for those looking to save money. Need more guidance? Contact Chicago Academic at 773-466-0101. We can help!